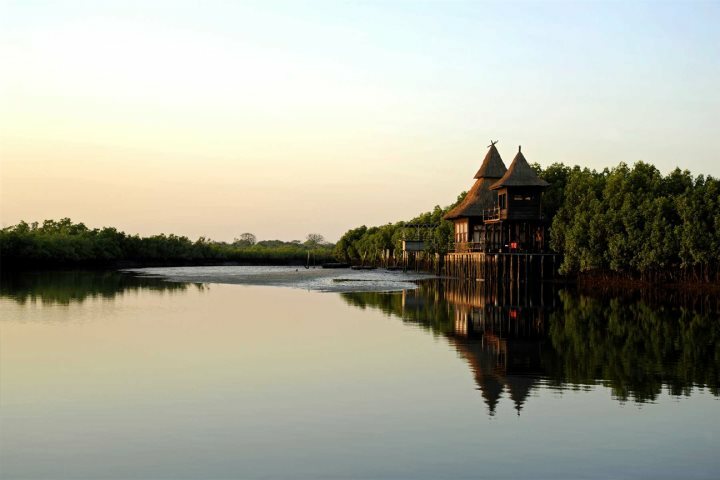 Hidden away in the African bush on a mangrove-lined tributary of the River Gambia, Mandina Lodges provide an atmosphere like no other. 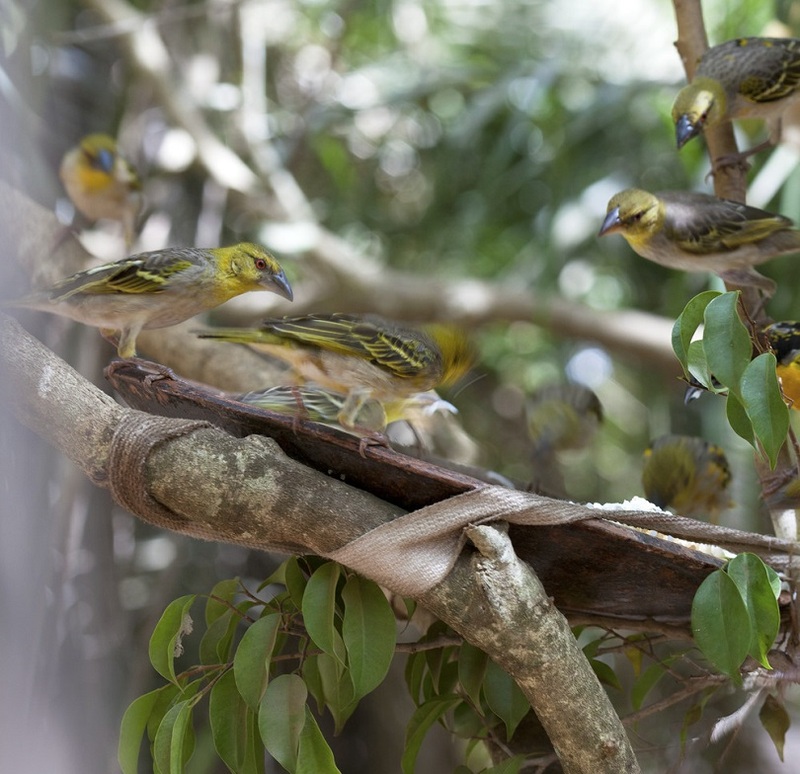 Surrounded by wildlife - from baboons to monitor lizards, a stay here will allow you to experience the real Africa. So, we want to share with you our favourite aspects of this superb accommodation, along with some wonderful ways you can make the most of your trip here. Privacy and peace are top of the list at the lodges, so with just nine lodges available to book, there’s never an overcrowded or busy atmosphere. 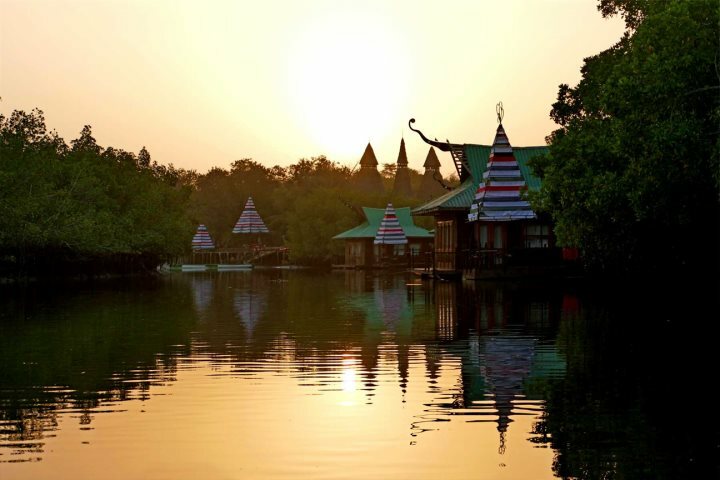 Lodges are located either in the jungle gardens or on the river, and with no Wi-Fi or television; Mandina Lodges are the perfect place for guests who are looking to simply get away from it all. 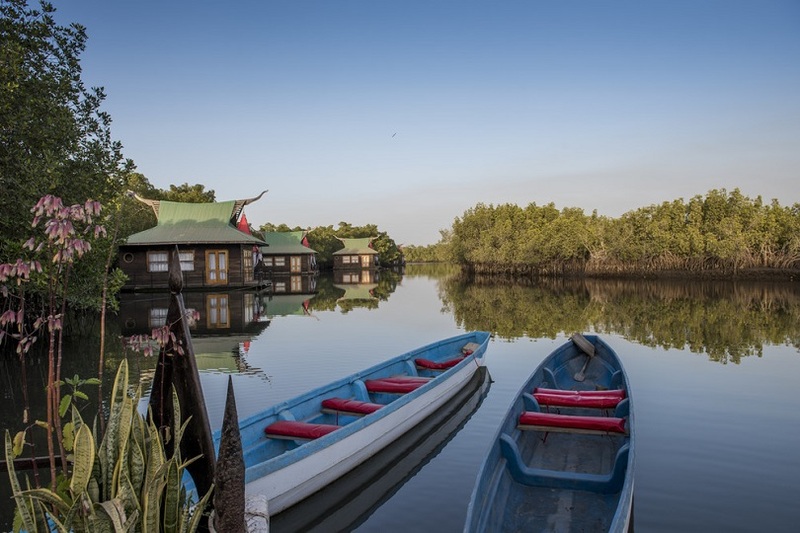 On the edge of a mangrove-lined creek, guests can watch the fishermen go by in their canoes, see ladies collecting oysters and crabs, take river trips, walk in the forest or just chill out by the magnificent pool. You’ll quickly become accustomed to the soothing background sound of the twittering birds and chattering monkeys, playing in the mangroves. Mandina Lodges are located in Makasutu, a multi eco-system, 1000-acre reserve, so there’s plenty of wildlife to see and hear. 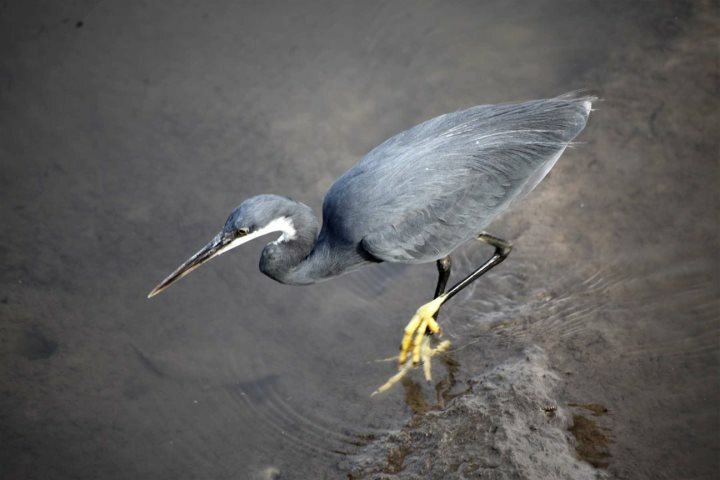 Hundreds of bird species, including kingfishers, weavers and herons, such as the magnificent Goliath Heron, as well as baboons, fruit bats and fiddler crabs are common here. 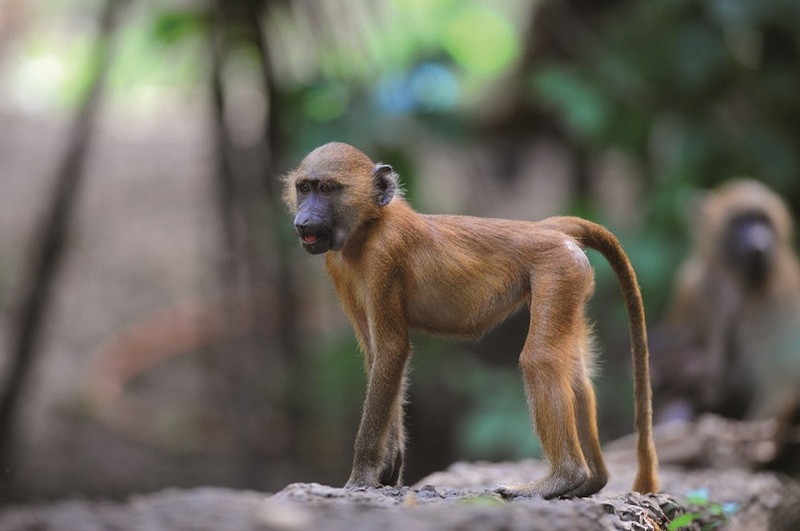 If you are lucky you might also spot mongoose, monitor lizards, crocodiles, red colobus monkeys and vervet monkeys. 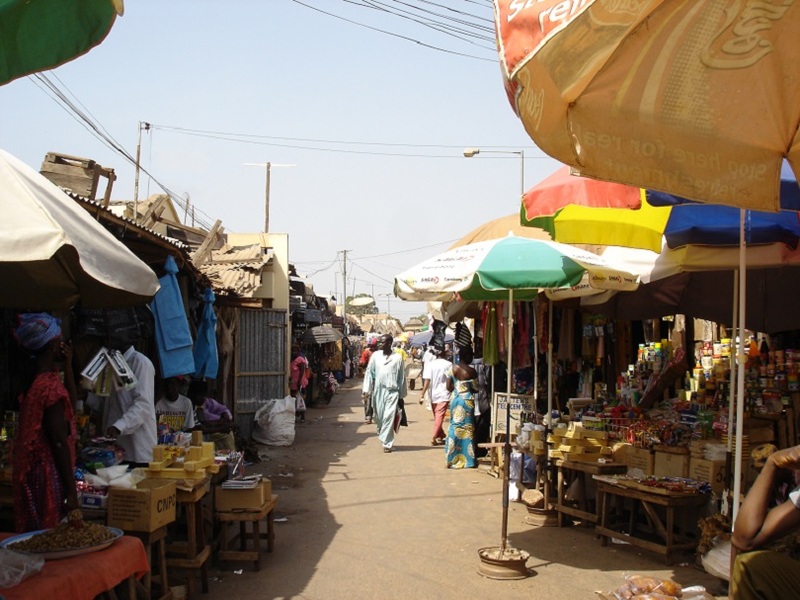 Around a half hour’s drive from Mandina Lodges, guests can visit Brikama market. A great way to discover local life at its best. It’s filled to the brim with local produce, clothes and household goods. Dedicated, English speaking guides with years of experience are happy to take guests out and about to visit local villages and markets, as well as accompany forest walks and canoe trips along the river. 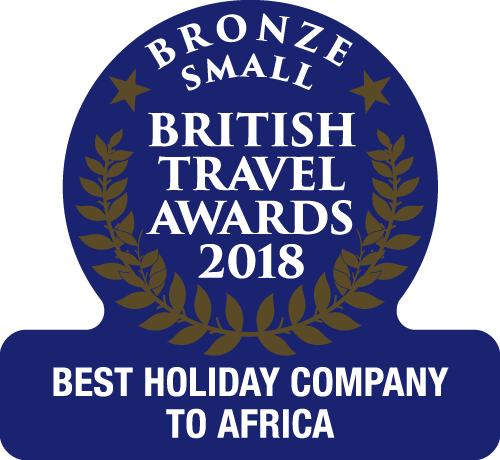 Guests can also tailor specific trips with their guide, so there’s an opportunity to experience exactly what you want from your trip to Africa. 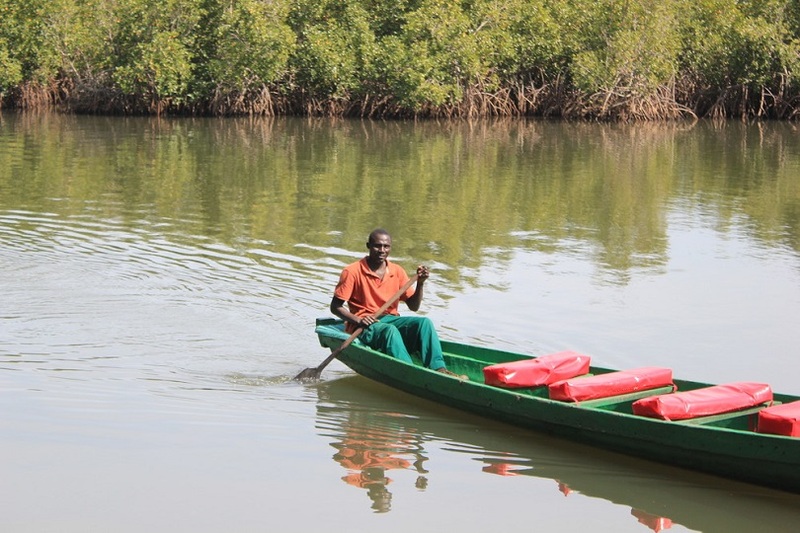 The guides will also be able to teach you all about the different flora and fauna in The Gambia, so you’ll come away knowing lots about the area. 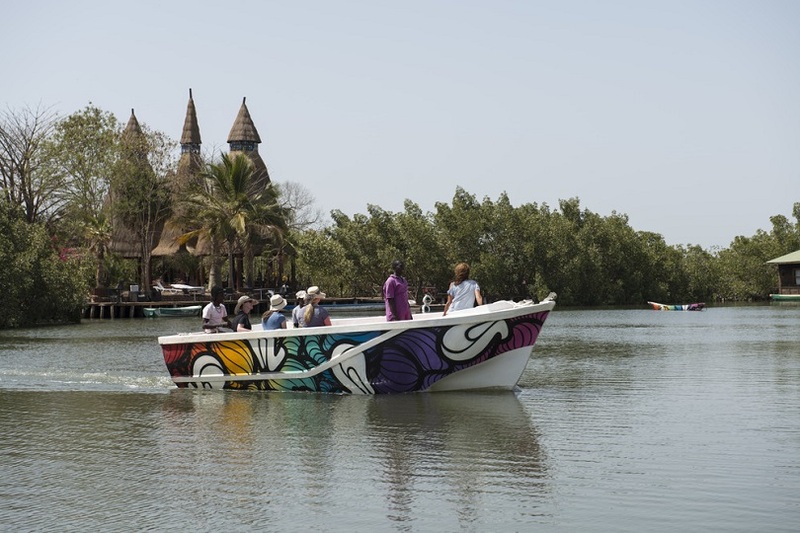 From Angel fish and stingray, to catfish and sole, you can catch all kinds of fish along the river at Mandina Lodges. You’ll need to bring your own rod if you’d like to use anything above a basic rod, but if you catch anything big enough, the chef will cook your catch for you. Leaving late in the afternoon, this cruise takes guests out along the river in a small motor boat, stopping at a tiny mangrove island where you can see thousands of birds come in to settle for the evening. The tour lasts around 3 hours, and a bottle of wine is also included. Just a short canoe ride away, your guide can take you to visit the unique Wide Open Walls Project. 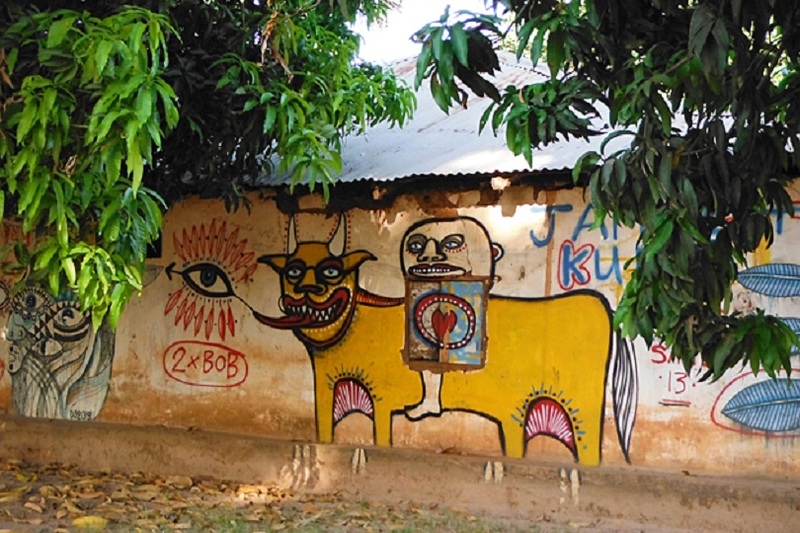 Started by the owner of Mandina Lodges - Lawrence Williams, he invited talented street artists to paint some of the local villages. 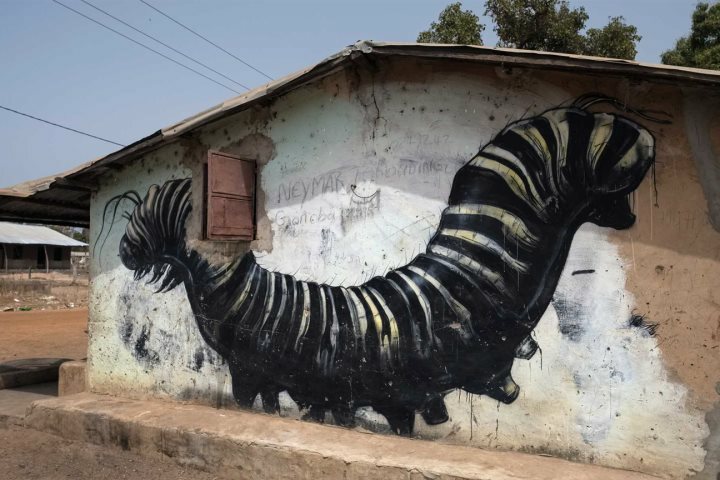 Now a living gallery, guests can go and visit some of this wonderful work. There are four different types of lodge at the resort, each unique in their own way. Firstly, the floating lodges are perfect for watching the sunrise, as you gently rise and fall with the tides of the river. Set back from the river, the jungle lodges boast a spiral staircase which leads up to a second floor, level with the treetops. Here is another bed, along with further amenities. 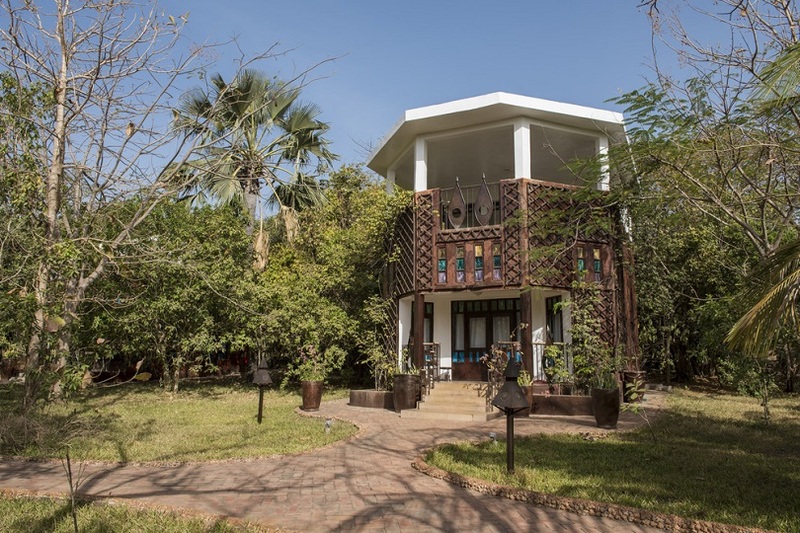 The stilted lodge boasts an open air lounge area, plus second storey day room, and is positioned magnificently on large wooden stilts over the river. 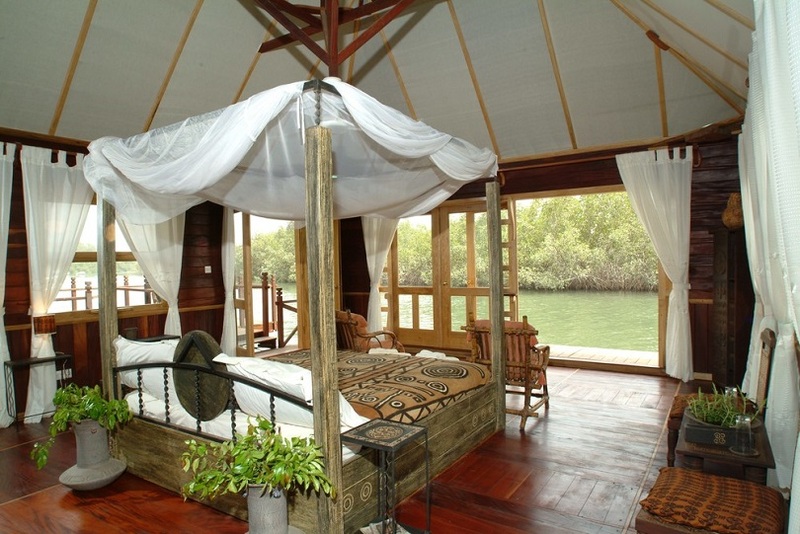 And last but not least, the mangrove lodge. 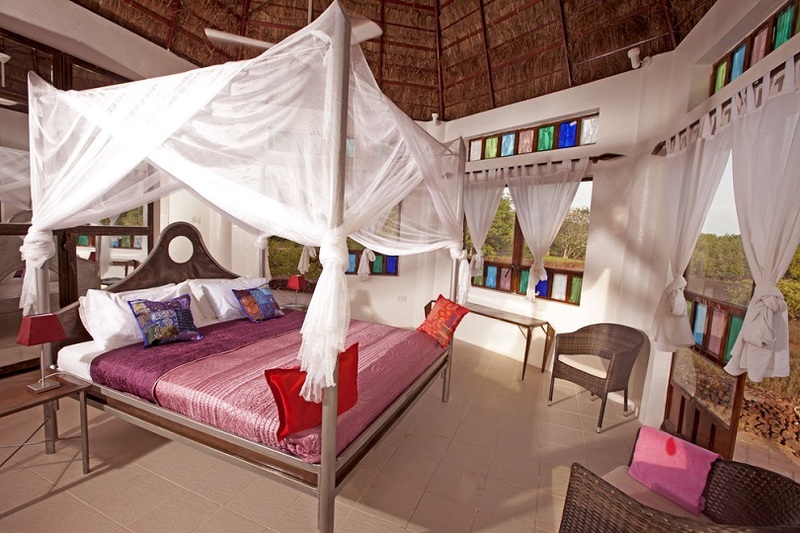 With a thatched roof and a private sun terrace, guests can look out upon the marvellous jungle and watch the birds play in the tide pools. Something we’re very proud of is the staff at Mandina Lodges. All local people, who couldn’t possibly do enough for guests go out of their way to provide the best service possible. 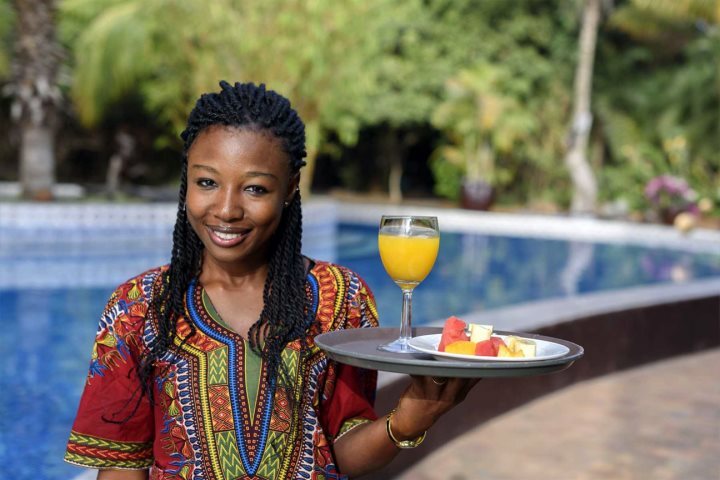 The same waiter, housekeeper and guide are with guests throughout their stay, so good relationships are quickly formed. We love Mandina Lodges, and if you visit, we hope that you do too. With a collection of unique accommodation, breathtaking views and the real Africa right on your doorstep, one week there will never seem like enough. 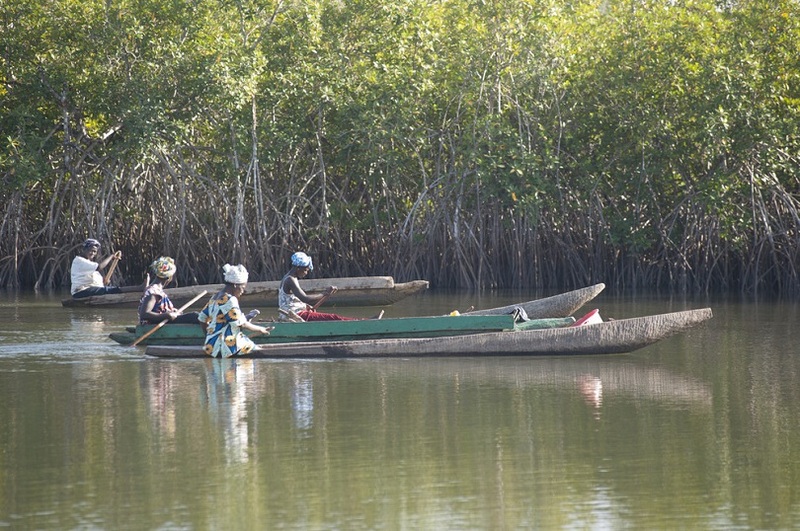 To book a trip to Mandina Lodges, visit The Gambia Experience website.